The Kata Compact Rain Cover for Sony EX3 is fabricated from waterproof nylon material and crystal c..
KATA Pro Light Rain Covers are fabricated from waterproof RipStop with crystal clear TPU panels for .. Pro Light camera element cover for XA10,25,35 The Pro Light CRC-13 PL video camera raincover is m.. 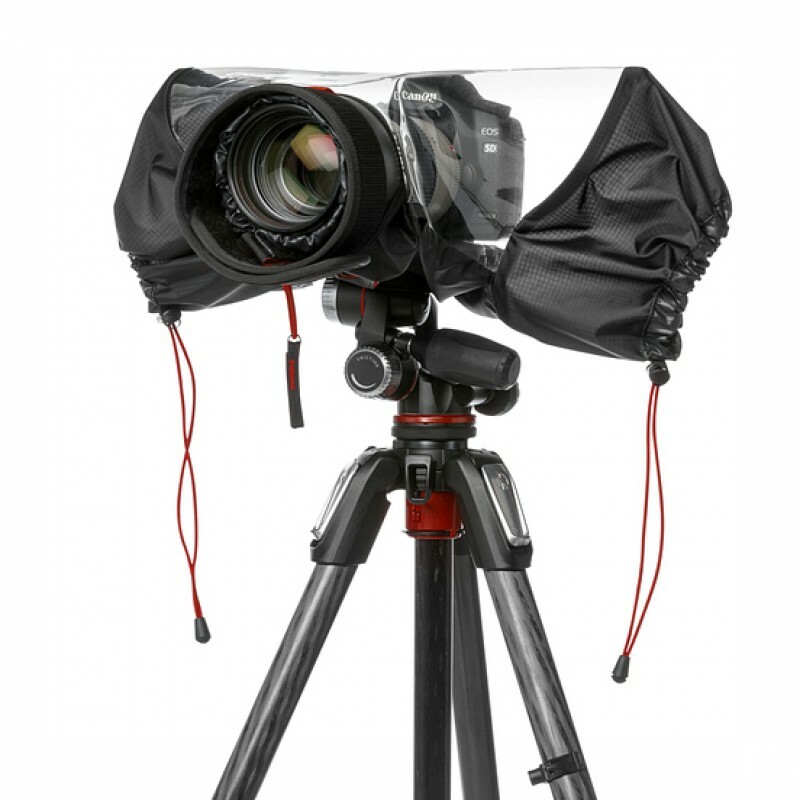 The CRC-17 PL Compact Rain Cover is cleverly designed to fit and protect horizontal handheld camcord..
Opširnije: Kompaktna kabanica za Mini-DV i Hi-8 camcorder. Napravljena od vodo..
To protect your small camcorder from elements that can harm it such as wind, rain, snow, dust and fo.. Using your photography equipment in the rain can be frustrating, but with the Manfrotto Pro Light Ca..
E-702 Elements cover je kabanica manjenjena manjim DSLR fotoapatatima i CSC (Compac system camer. tj..
E-702 Element cover je DSLR kabanica koja se jednostavno i lako postavlja na vaš fotoaparat. Namijen..
Protection for everyday activities in bad wheater conditionsPerfect for Small and Medium HolstersWat.. Fits the NG A5270 Medium Rucksack, NG A5250 Small Rucksack, and all Other Small and Medium size Nati..
Includes padded shoulder strap for extra comfortIdeal for any Africa Collection photo bagWraparound .. The Orca OR-33 & OR-36 Environmental Covers were designed to protect Orca audio ..